Something unusual: An edit I made of an existing live mix by TATT. I listened to the (excellent) original mix x8+ while driving around during the Canada Day (July 1st) long weekend. 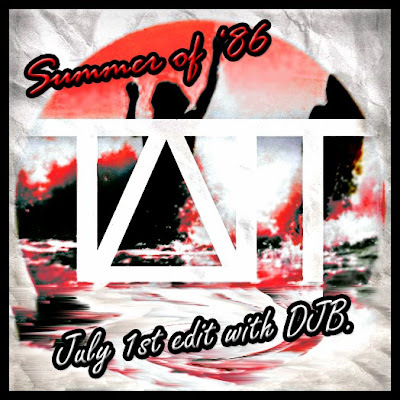 The edited set is the same as the original, but does have a few small edits, and 3+ songs cleanly removed from the mix (Cassette Club - Don't Go, Plastiscines - Barcelona (Lifelike Remix), etc) to make it more dance oriented. It's a testament to TATT's live mixing skills that the songs and beat blend as well as they do. In addition to streamlining the mix, I've added an edited version of Tim Mills - Eclipse of the Sun (Arthur Deep's Tokyo Sunset remix) to the end of the set. Enjoy. Check out the original mix and tracklist here. Download the (also free) dance-oriented "July 1st" edit here (.MP3).